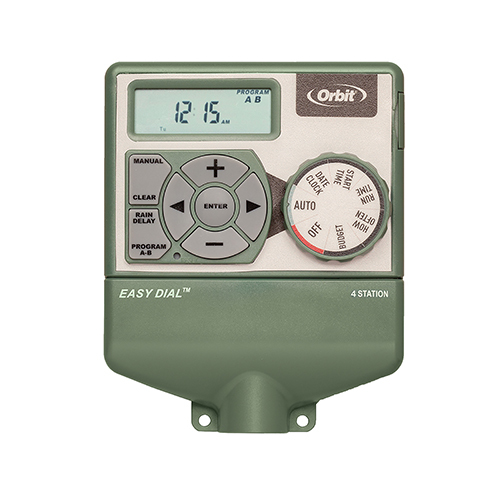 The Orbit 4 Station Easy Dial Sprinkler timer is the ultimate user friendly sprinkler timer. It features an easy to use dial for programming and a large LCD screen. With two watering program setting and the ability to program multiple start times per program, this timer is able to meet all your watering needs. This timer also can be set up to adjust watering based on local weather to avoid water waste and deliver the right amount of water to your plants.